Over the summer, I participated in a Facebook event unlike any I had ever been to before. It was an online Women’s Fiction Summer Party. A collection of women’s fiction authors banded together to hold a Facebook event that lasted several hours (5!). By cross-promoting the event, these authors were helping each other to increase their fanbase and mailing lists. This same group of authors is hosting their next event, a Facebook Author Holiday Party on November 7, 2017. So, if you want to see this phenomenon in action, check it out! The idea seemed ingenious to me and was one I wanted to learn more about, so I contacted one of the participating authors, Patricia Sands, to see if she’d be willing to fill me in on the process behind the event a bit more. After spending a lovely hour talking with her, I knew I wanted to share this information with you as well, so I asked her to write today’s guest blog post. So, without further ado, here’s Patricia’s feedback on how to hold a successful Author Party on Facebook for your fans. The key ingredient to success is organization. After being a novelist for eight years, I have learned many lessons about interactions on Facebook with readers. The bottom line is that writers and readers all benefit from opportunities to connect with each other. Make them fun! Facebook author events are always chaotic with many conversation threads going at the same time. It is essential to refresh your page regularly to keep up with the chat. Some people actually follow along on a second device, such as an iPad, phone, or another computer. I have not mastered that technique yet! There are Author Assistants (AA) who offer services to manage such an event. In my opinion, this assistance and experience are crucial to the success of the party. What our AA offers us is priceless. She helps put together graphics and makes suggestions with regard to the theme. To participate in the event, each author commits to be present at a specific time and to provide at least one giveaway as a raffle prize for the readers. Once all the authors are on board, the AA sets up a Google document or Excel spreadsheet. 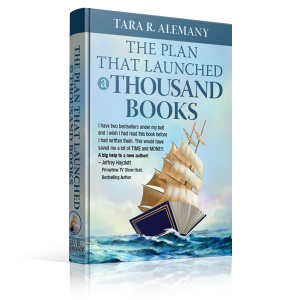 Each author enters their information into the spreadsheet, including desired time slot, name, giveaways, questions they want asked, website, Rafflecopter links, etc. 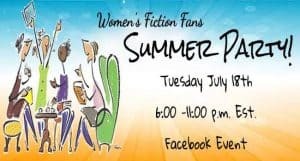 We typically have a theme for each Facebook author event (usually seasonal, for example, Summer Party) so our AA can prepare promotional graphics for us. Each author shares about the event through all their social media platforms. We may even send a “save the date” message out first. Our event is also cross-promoted as a Goodreads event. However, we hold off on serious promotions until a week before the event. At that time, each author invites all their “friends” on Facebook and Goodreads. Ebooks and paperbacks are the standard prizes for giveaways. However, everyone makes an effort to add more creative prizes, from something as simple as Amazon gift cards or book bags to coffee mugs and candles. At our last party, since my book was set in France, the biggest prize I gave away was a box of macarons (cookies) from France. It was a big hit. For each giveaway, a question is posted by the author, always accompanied by a photo of something relating to the topic. The more fun you can make it, the better. The AA monitors everything, keeping track of participants and winners. She comes in at the appointed times to introduce the next author and keeps everything to the established timeline. The AA also sets up a Rafflecopter raffle, which fans must enter to be eligible for the BIG prize (established by the authors) and tasks must be completed to enter (such as subscribe to newsletter, “like” certain social media pages, “follow” on pages, etc.) Often the authors will all kick in an agreed amount for the “big” prize…say ten authors will each contribute $10 to offer a $100 gift card. Or $20 each and have a few smaller gift cards as well. At the end of the event, the AA sends an email to the authors with contact information for the winners and a separate document with all of the new names. Authors also go back into the event once it’s over and “like” any new person who attended. Our experience with these events has been positive. We try to maintain meaningful topics for our questions that allow readers to tell us something about themselves, rather than us doing the talking. Each author attempts to respond to every comment posted on their threads…although this is not always possible when there is a high attendance. The key thing is to make it fun, sincere and interesting…with good giveaways. Bestselling author Patricia Sands lives in Toronto, Canada, when she isn’t somewhere else, and calls the south of France her second home. I Promise You This, Book 3 in her award-winning Love in Provence trilogy, was published May 17, 2016. Her next novel, Drawing Lessons, was released by Lake Union Publishing on October 1, 2017. Find out more at Patricia’s Facebook Author Page, Amazon Author Page or her website. 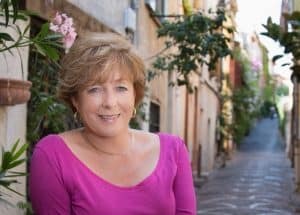 There are links to her books, social media, and a monthly newsletter that has special giveaways, photography from France, and sneak peeks at her next book. She loves hearing from readers. Patricia is represented by Pamela Harty of The Knight Agency. Want to Boost Traffic to Your Content? If you blog, you need this tool! MissingLettr is a cross between a virtual assistant and an automated drip campaign, but it’s for bloggers. And one thing is for certain. If you use it consistently, it’s going to boost traffic to all of your content. And that’s exactly what it does (almost!). I will say that the one drawback I currently see is that it’s not integrated with Facebook yet. That said, Facebook integration is in the works, so I don’t anticipate this being a problem for much longer. Update: 3 hours after I published this post, Missinglettr announced that Facebook integration should be released by Monday next week (5/15/2017). How’s that for fast?! As for the rest of the system, though, think about the evergreen content you create. It can really bog down the works! So, many bloggers never get around to sharing a link to their latest content more than 2 or 3 times before moving on to the next post. Missinglettr solves that problem for you because every piece of content you write will have a drip campaign set up specifically to create engagement with that content and to boost traffic to your website. After you create your account, you connect it to your social profiles. Currently, Missinglettr supports Twitter, LinkedIn and Google+. Facebook is due soon, and Pinterest is also on the “Road Map” of future improvements. The pricing plan you choose determines how many social accounts you can connect with. If you’re just getting started, there is a personal plan that allows you to connect to 4 social media profiles and 2 websites, while managing 4 campaigns per week per site, all for just $15/month. If you have a larger team, more websites or want to share even more content, you can scale up from there. Ultimately, I’m sure you’ll find a pricing plan that’s right for you. Once you’ve connected Missinglettr to your social profiles and given it with your blog feed, it continuously monitors your site for new content. Whenever you publish a new post, Missinglettr scans it and proposes 9 social media posts that can be dripped out over the course of the next year to your various accounts. The proposed posts are complete with images, text and hashtags that are all relevant to the content of your blog post. You can then edit and approve the posts all in just a few minutes. Take a look at how easy it is to use! Missinglettr is more than just a scheduler. It will help you to boost traffic to your site, which will, in turn, translate into more book sales, email sign-ups and client revenue if you play your cards right. One of the most powerful things you can do to your social media updates to make them more engaging is to ensure they have eye-catching visual components. With social media changing all the time, the standard image sizes regularly change as well. Bookmark this handy reference to social media image sizes, created by makeawebsitehub.com, for the next time you find yourself in need of the specifications for your favorite social media site. They’ve even provided Photoshop templates for you to use as well. Today’s guest post is from Michele the Trainer, who is a Mobile Concierge Celebrity Personal Trainer, motivational and educational speaker, healthy lifestyle weight loss coach, and published author with a health and fitness system based on her 3 M’s: Motivation, Movement and Mindset. Have you ever wanted to do something that looked dauntingly complex and you weren’t sure where to start, or if it was possible to figure it all out? Moons ago, I bought a podcasting kit with high hopes, opened it up, and it looked so complicated. It was a big box that included unfamiliar wires that were round. It also contained a mixer with some giant headphones and a large microphone. I would have needed a separate desk or more office space for it. So I closed that box up straight away and shelved it for years. Soon after I ordered my podcasting kit, it seemed like podcasts suddenly were no longer “the thing.” Fast-forward to five years later they came back, big, and I decided to revisit the idea and see if any of the technology had become any easier. So I asked around. Anyway, I’m fairly technical, so instead of asking a zillion questions, I installed both of the softwares (PC-based) that Dave mentioned, learned enough of them to be dangerous and I bought that reasonable USB microphone for PC from Amazon based on reviews. That was the birth of the Michele the Trainer Show and Dave Bullis was my first guest. He taught me more about Evaer, the software I use to record my Skype audio calls, during the Michele the Trainer Show episode 1. All three of us are technical, which helped the learning curve, but once putting a show together is understood, the rest is really administrative and promotional. I am no means an audio engineer, but the Michele the Trainer Show podcast has been rolling for awhile. In 2016, I launched the International Women in Film podcast and host it as well. Because the only equipment I need is the USB mic and some headphones, I can record from anywhere on the planet with my laptop. My show, the Michele the Trainer Show, is more of a channel because I’m a polymath and didn’t really want to niche. I wanted to try different types of shows within one show and see what would rise above organically. For example, some of my shows are Interesting Interviews, some are Tool Talk and some are Liquid Hike type shows (named to match my environmentalist nature blog, these shows are about conservation or green tech). Of course, listing on iTunes requires some category definition. Like any good ritual we start (exercising, writing, idea listing, etc. ), posting podcasts on a regular basis takes discipline. 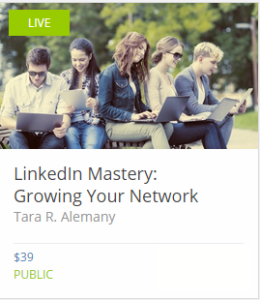 But that is how I met Tara Alemany, owner of Aleweb Social Marketing! I was looking for new smart guests that had something to teach my audience and we connected. These connections are the best part of podcasting. We take time out of our swamped schedule to create something together that can benefit both of our audiences. There is a lot of content out there to choose from, so always be respectful of your listener’s time. Plan your episodes and make sure that if someone is commuting they will learn something while listening. If you’re looking for a way to really network online and you’re a giver of value, podcasting is a great project. It’s the way networking should be, giver’s gain, and I’ve made a lot of friends since the Michele the Trainer Show launched. Like blogging, the content is out there and listeners can continue to listen to it as long as it’s available online. So it’s a great way to get your message across and to build your brand. Networking: Meeting new people and working together on something. It might be only an hour on the phone together to prep for and record a show, but often we stay in touch and continue to network online. Giving Value: Reaching out to an audience and bringing value. Providing content on demand! Hobnobbing with other podcasters: Becoming part of the larger “giver’s gain” podcasting community. Interesting technology: Learning the audio engineering technology. Having a voice: For the first time in history there is no gatekeeper. If you want to save the world, now is the time to get your message out there! Follow the fun: It’s just plain fun to see your own content on iTunes along with Aerosmith and other rock stars. It’s fun to hear your voice on the radios and smartphones of others! Reach audio learners: Some folks learn more from hearing than they do from visuals or reading, and now you can reach those people. Learning: I learn so much from everyone I interact with, especially my guests! Living the DJ dream: It’s just cool to have a show on the internet, just like AM radio DJs were cool back in the day. Interacting with listeners: This is one of the best parts of podcasting! Now I’m able to help everyone have a voice. If you want to start a show, let me know. I’d be happy to help! Today’s guest post is from C. Nicole Swiner, MD, whom I recently met through a Facebook group we both belong to. 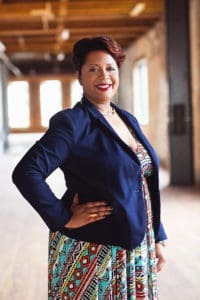 She is a family medicine/general medicine expert (look for #docswiner), covering a broad spectrum of both medical and mental health issues, as well as an author and speaker. …that’s what I like to call myself. When I first started practicing Family Medicine, I didn’t even know what Facebook was. I avoided it like the plague, wondering why anyone would want to share their private moments and pictures with strangers on the Internet. But as I began to write articles and started to blog, my husband (who I think is a Marketing genius) encouraged me to consider it more. I was new in my practice, getting ready to start a private practice, and decided to soon write a book, so it made sense. I needed to be on social media. Most importantly, it was free. I was new in my practice, soon to be starting a private practice, and decided to write a book as well, so it made sense. I needed to be on social media. Most importantly, it was free. After a while, I became a pro (or addicted, some might say!) and I was on all of the popular social media outlets. I later developed a separate business page just for my medical blogs and, from those, my book How to Avoid the Superwoman Complex was born. Not many of my colleagues had written a book and most didn’t use social media at the time. For me, it has been a necessary and effective tool for building visibility my book and brand. I owe the success (and funding, for that matter) of my book to Facebook and social media. By using GoFundMe.com, I was able to raise money for publishing my book and start taking pre-orders, while the word spread like wildfire. Within a month or two, I’d raised money and pre-sold a large number of books. Thereafter, whenever I sold a copy or spoke to someone about the book, I asked him or her to post a selfie with it and tag me in it. Every time, at least one of their friends asked about the book and bought it. That’s a win-win. I do a live biweekly broadcast on Periscope on a given topic. I have someone transcribe what I’ve said and post it as a blog. I share the blog post on Facebook, Twitter, Google+ and LinkedIn. Then I share the article with Facebook groups I belong to, who may use it to post to their collective networks or in a magazine. Soon I’m going to start doing webinars, based on the blog post, and add a Powerpoint presentation to it. When speaking in the community, I draw topics from the conversations there to discuss with my online following. Why re-invent the wheel? So, as you can see, I couldn’t do business without social media. It’s another way for me to practice medicine in this tech-savvy world and to reach people I’d otherwise never meet. It’s a must for entrepreneurs of all types now. You’re behind the times if you’re not online. I recently came across a 2015 book release called YouTube Famous: Making It Big on the Internet by Rosie Matheson. Its cover caught my eye, as all good covers should do, reminding me of the old Brady Bunch trailer with colorful boxes, each containing a smiling face that urged you to smile right back at them. Making it big on the internet? Isn’t that what so many of us hope to do? I don’t know about you, but I don’t particularly care if it’s on the internet or in real life. Making it big speaks to me of financial freedom, the easy life, and having all the time in the world to spend with my friends and family enjoying the things I love. YouTube has revolutionized the viewing habits of millions of people around the world and looks likely to continue doing so. 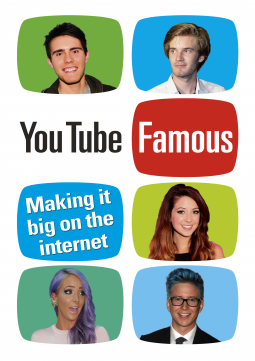 YouTube Famous presents case studies of 20 of the world’s most successful YouTubers providing original content to inspire those who might want to set up a channel of their own – it’s also a book which will be enjoyed by fans. Complete with tips to produce your own programs, it shows how YouTubers built up their channels from scratch and developed content to please their growing fanbase. With a growing online world and more and more people tuning in to the internet, particularly young people, this is the book you need to read for the secrets of success. The highlighting is my own, and acknowledges what stood out to me in deciding whether to read the book or not. As I interpreted it, the author would use case studies of successful YouTubers in order to show what sets them apart from other YouTubers who are struggling to figure out how to make their channel work for them. The intent being, to show the reader what the necessary ingredients and steps are to achieving success themselves. Unfortunately, YouTube Famous overpromised and underdelivered. It read more like a celebrity tabloid than a serious study of successful people. I now know more about who on YouTube is straight and who is gay, who’s dating each other and who’s not, than I anticipated when I first picked up the book. I’m not too certain how the author came to choose these particular individuals as the best case studies. The author did say that she ruled out anyone who started off rich or has had the backing of any organization with corporate muscle. Yet, a few of the people profiled were sponsored by Skype and other corporations, so I’m not too clear how she’s defining “backing” here. Regardless, she acknowledges that the people she selected to profile all fit a common mold. They are ordinary people who have built up their channels on the strength of their personalities, their wit and the quality and originality of their work. As I read through the book it became apparent that most are from the UK, and they all got their start essentially either vlogging about make-up or being comic goofballs and pulling pranks. The oldest member of the YouTube crew (did I forget to mention, they’re all friends?) was born in 1983 and started their channel no later than 2011, seeming to imply that if you’re older than your mid-30s and didn’t jump on the YouTube wagon long before now, you’ve missed the boat! Also, it seems that every single one of them has a viewing audience made up of teenage girls. So if you’d hoped for information that might help you reach any other demographic, you’re on your own. As far as the tips to grow your own channel that the author promised? It seemed like an abandoned effort. The first few profiles end with a grey box in which you’ll find some tips. But after the first few, there were no more to tips called out for you. They needed to be inferred from the profiles themselves. Which brings me to another major flaw in this book. With all of the frequent references to the YouTubers, their channels, and specific videos on those channels, the eBook didn’t contain links to any of them. Had it done so, there were a few video descriptions that sparked my curiosity enough to watch them, but not enough to go look for them. All that said, here are the best tips that I culled out for myself and wholeheartedly agree with (although they weren’t new to me). Be yourself and treat your viewers like they’re your friends, not prospects or strangers. Invite and respond to comment, and let your subscribers be part of the channel’s growth. And most of all, find ways to collaborate. Every member of the YouTube crew saw significant growth in their number of subscribers when they were introduced to someone else’s audience. What I didn’t find in the book were the production tips mentioned in the description, as well as information I’d anticipated like the mechanics of growing a channel (looking at viewer consumption data to determine what content to create, how to broadcast videos to get the greatest visibility, etc.). Instead, most of the YouTubers profiled seem to take a “seat of the pants” approach, either recording whatever it is they feel like or taking viewers up on dares. While I had personally never heard of any of the 20 YouTubers profiled, their subscriber and viewing numbers are impressive! And they do speak to the fact that YouTube is a different medium than TV. It serves a different purpose and needs to be handled as its own broadcast medium, even as its own art form. As for the book itself? I think the publisher got the blurb wrong, and it put the author in an awkward position. The book promised to the reader is not what was delivered, and it appears an editor tried to shoe-horn what the author wrote into what the publisher wanted to publish, with unsatisfactory results all the way around. Had the book subtitle and blurb positioned it as collection of celebrity profiles of young and famous YouTubers, that would have been one thing (and my review rating would have been different, as it is I only gave it 2-stars on Amazon). Trying to pass it off as a business book offering case studies on how to create a successful channel was a mistake. To do that would have required a more in-depth look at what made each channel successful, so that the reader could replicate it on their own, and a more varied sampling of case studies. If you’re over 35 and hoping to reach an audience other than teen girls with your brand, there’s not a lot to go on in YouTube Famous. Today’s guest post is from Sophorn Chhay, an inbound marketer specializing in attracting targeted visitors and generating sales and qualified leads. Through Trumpia’s SMS and marketing automation solution, he helps businesses and organizations communicate effectively with their customers or members. Trumpia is offering a free Mobile Marketing Success Kit, so don’t forget to grab your free copy. Mobile marketing offers many channels for reaching your audience, including reminding them of events and sending them special offers for your next book. It is a great way to add some oomph to your existing marketing strategies and connect personally with your followers. Mobile is now the primary way that people connect with the Internet, and you can take advantage of this communication stream to deepen existing relationships with your readers and find new ones. 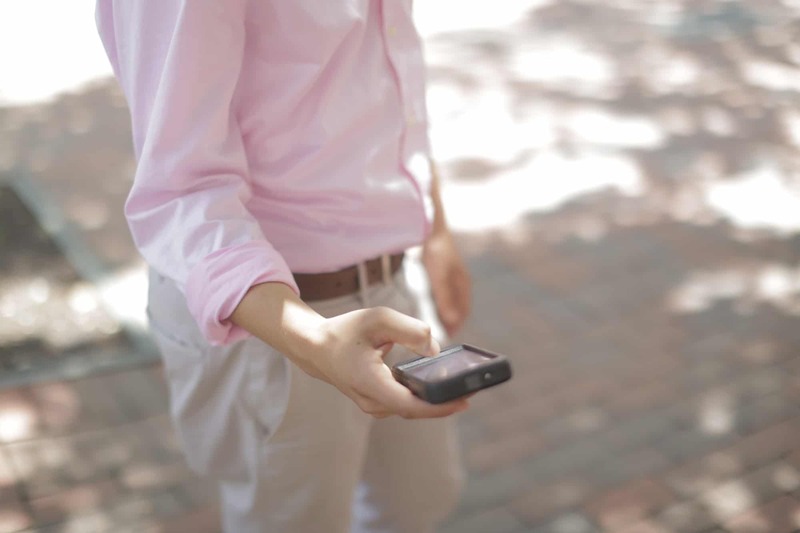 Here are some easy ways to increase your following with mobile marketing. 1. 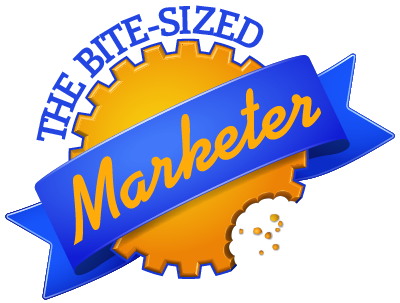 Create an SMS marketing subscriber list. SMS or “texting” is one of the top activities that people use a cell phone for. Texting is the most used application on smartphones, with 97 percent of U.S. users texting at least once a day. Use this knowledge to your advantage by offering an opt-in service for your followers. Not sure which mobile marketing platform to use? Here’s a comprehensive list of the Top 50 Mobile Marketing Tools and Platforms for Business. 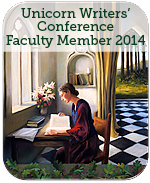 Send reminders of new books or upcoming presentations. Let people know when you will be in town. Send out alerts for your newsletter or contests on social media. Inform followers of giveaways and freebies. 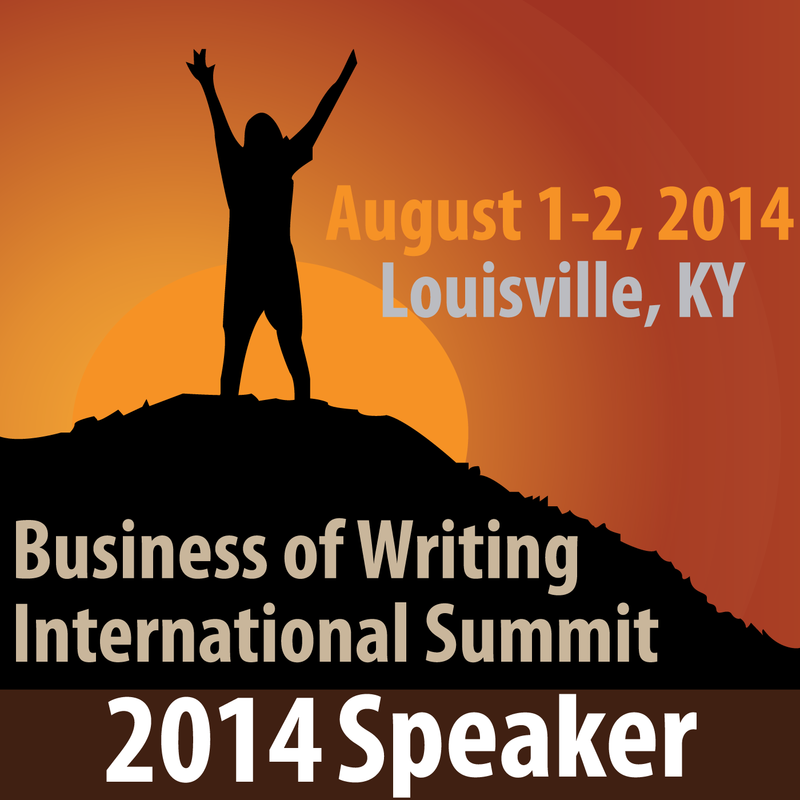 Offer free tickets to your next speaking engagement if they share your text. Creative ideas for SMS message marketing are being thought of daily. You can divide your list in several ways, including by location to let readers know when you will be in their local area for a meet and greet, book signing or convention. You can also divide the list by genre, if you write or speak in more than one topic area. Send reminders only to followers for that particular genre when events come up. Additionally, run surveys of your readers to see which of your characters they like best or which book is their favorite. 2. Optimize your website for mobile users. Now that more people access the Internet from mobile devices than desktop computers, you should optimize your website for mobile. Optimizing your site for mobile will not turn away desktop followers. In fact, they may not know the difference. Many people go online using both their mobile and desktop device, and can follow you on both. The best practice for making your site mobile accessible is by changing it to a mobile responsive theme. Talk to your webmaster to see how much work that will be. Don’t know if your site is mobile responsive or not? Visit the Google Webmasters site to check. And if you don’t have a developer who can help you, feel free to contact us. We’d be glad to do what we can. Mobile responsive themes respond to a signal from devices, displaying your site in best fashion for each device’s screen size. They also reorder elements of the site in a predetermined configuration. This process is automatic, making the site friendlier to mobile users. 3. Use social media sites that are popular on mobile. Some social media sites have great apps designed to make them easy to use, making it easier to access information and share content with friends. Pinterest has a very sophisticated mobile app that you can use for letting people know about events, sending out quotes from your books or your inspirational messages, and sending out advance notices of your book covers. It is a very active site on desktop and mobile, and book covers are the perfect size for Pinterest images. Depending on your topic area of expertise, you can create boards sharing recipes, offering business advice or cosplaying your main characters (dressing up and acting like them). Facebook is used on mobile for sharing images, videos and text, and can be adapted to mobile easily. Many authors create pages to announce new books, get feedback from readers, and let people know where they are traveling for conventions. You can even send videos of yourself meeting followers or speaking, or ask people to tag you when they post their photos to Facebook of your meeting. These ideas are just a beginning to the many ways to publicize your work on mobile. You will be amazed at how easy it is to add mobile marketing to your marketing strategy. 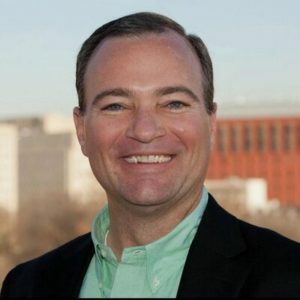 What’s Your Social Selling Index? 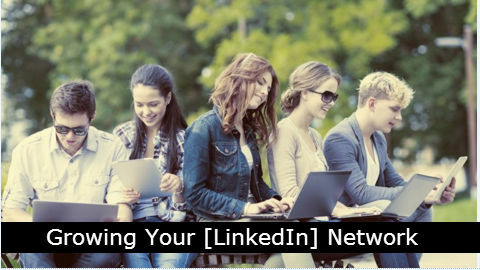 Do you use LinkedIn as a means of building your business? 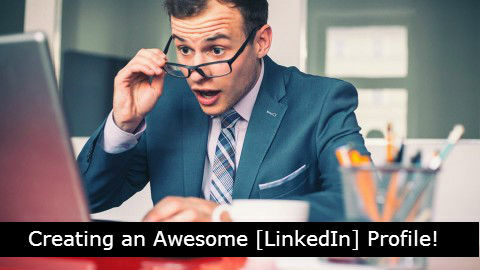 If so, LinkedIn’s new Social Selling Index (SSI) may be of special interest to you. You might have heard the term “social selling” before. But if you haven’t here’s a quick definition. Social selling is when sales people use social media (LinkedIn especially) to interact directly with their prospects. Sales people provide value by answering prospect questions and offering thoughtful content until the prospect is ready to buy. LinkedIn’s new Social Selling Index (SSI) measures the 4 key elements of social selling. Establishing your personal brand by completely filling out your profile and sharing content regularly through status updates, blog posts and engaging with the content of others. Finding the right people to add to your network by using available search tools to identify better prospects in less time. Engaging with insights LinkedIn provides, so that you can discover and share conversation-worthy content so that you can create and grow relationships. Building relationships to strengthen your network by finding and establishing trust with decision makers. Your profile is rated daily based on each of these elements to give you a score, as well as recommendations for improvement, and an idea of how you rank in comparison with others in your industry and network. To view your own SSI rating, visit your Social Selling Dashboard on LinkedIn. You’ll see the breakdown among the 4 different elements, with scores for how well you’re doing with each. A perfect score is 25. If you have anything lower in a given area, it means there’s room for improvement! Need some help figuring out how to improve your score? 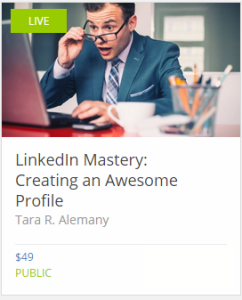 We offer two LinkedIn Mastery courses on Udemy, one on Creating an Awesome Profile and the other on Growing Your Network. You’ll learn enough in these two courses to significantly shift the needle for all 4 elements of your SSI rating. And for our readers, we have a special offer good through the end of August. Use the coupon code “SSI2015” to receive 25% off of either course. If you find that your SSI isn’t as high as you’d like, consider taking these courses, ask questions in the Discussion area, and let’s see if we can’t improve your SSI.